Disney Girl: Trick Or Treat! 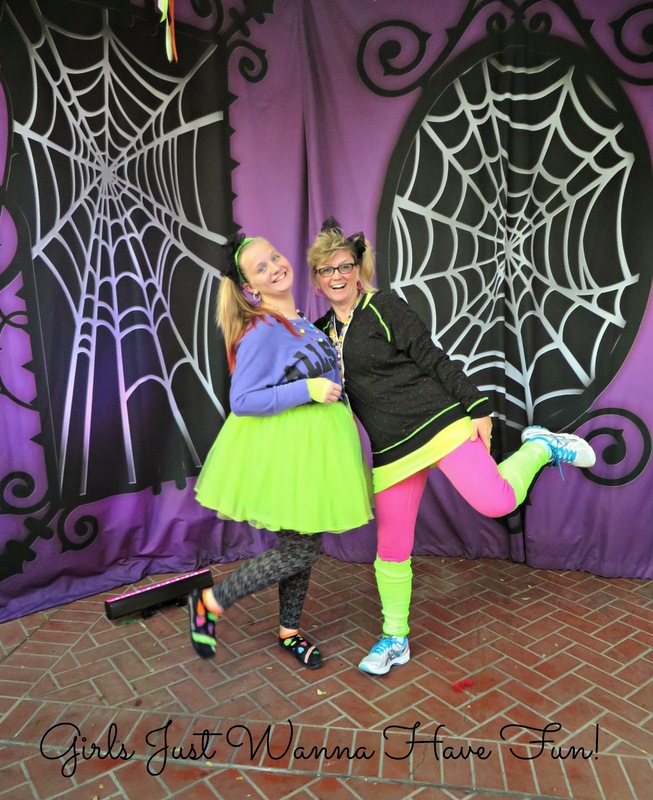 Happy Halloween Disney and Crafty Friends! 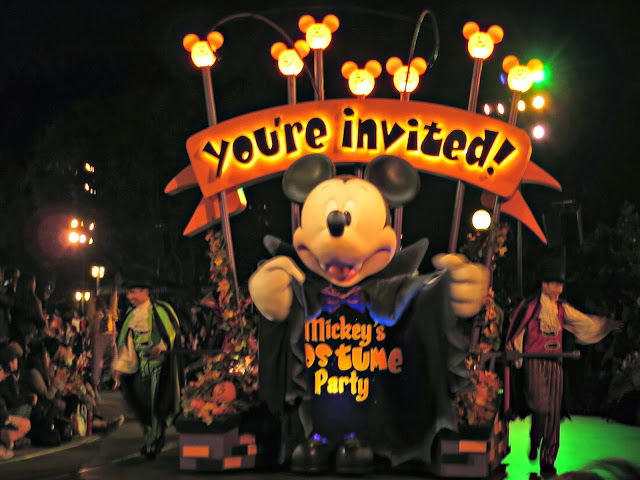 Earlier this month I had the fun of attending Mickey's Halloween Party at Disneyland! What a great time! My daughter and I dressed in 80's themed costumes! As I was teasing my bangs up high I had a flashback to the days when I spent a lot of time teasing up my hair. The higher the bangs the better was the motto back then! The highlight of my night was trick or treating inside the Golden Horseshoe! 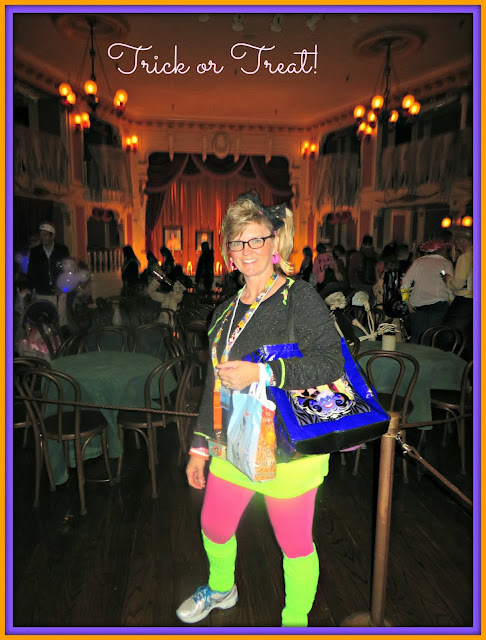 I could not believe that I was inside the Golden Horseshoe trick or treating! Disney magic at its best for me!! The Golden Horseshoe holds so many great memories for me. From going there as a teen with my parents to now as an adult with my daughter. Just add trick or treating to the list! I hope that you have a very happy and safe Halloween! Thanks so much for stopping by! 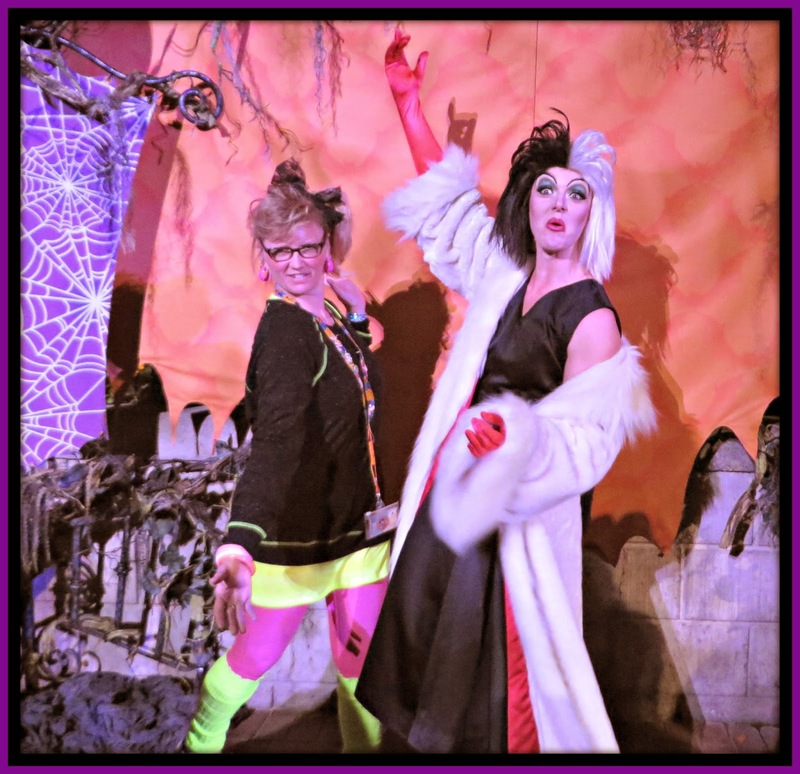 more like ghouls just wanna have fun. you and your youngun were so cute . I am lovin' your costume! I've never been to Disneyland but this post totally makes me want to go! Looks like you guys had a blast! Love the leg warmers, LOL! You guys are so cute! You look like you had a blast too! Love the skeleton drinking in the middle of the Golden Horseshoe!